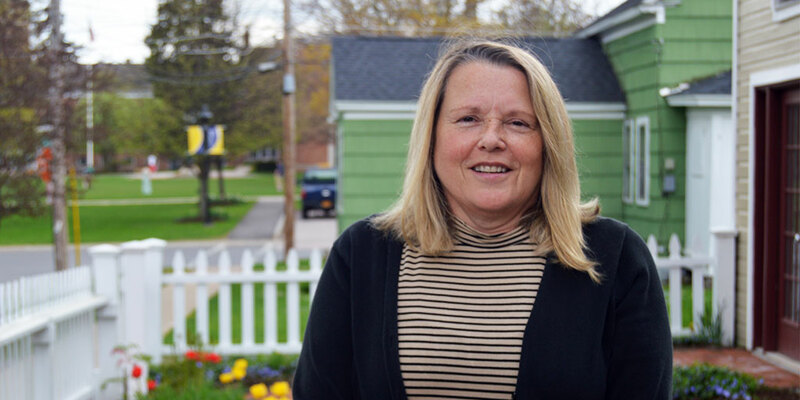 Shari Whitaker, director of alumni and parent relations, began working at Cazenovia College in 2003. She served as assistant to the director of Library Services before joining the Division of Institutional Advancement in 2004. For almost 10 years, Whitaker has served as the director of alumni and parent relations. Her office in the Alumni House is located at 1 Liberty Street. Whitaker oversees alumni and parent-related events, such as Reunion and Homecoming/Family Weekend, as well as affinity and regional events. She also works with campus divisions/faculty to implement programs and activities, and oversees parent-related services and outreach. "It is important to keep the lines of communication open between alumni, parents and the College community," says Whitaker. The largest alumni event is Reunion weekend held each June. Whitaker enjoys seeing alumni from all graduating classes come back to campus to reconnect with classmates and reminisce about their time at the College. Homecoming/Family Weekend is also a popular event that brings alumni, families, faculty, staff and friends together for a fall weekend on campus. Whitaker says, "Being able to keep alumni and parents engaged with the College is very important to me." In her role, Whitaker hears a lot of stories from current and past students of the College. "I find that no matter what, there is always a common bond—common experiences and a lifelong connection making them a part of the Cazenovia family," she explains. Whitaker shares the excitement she feels following students from an Open House event through graduation. She says, "Seeing students arrive on campus as freshman and watching them grow over their four years is special. They then graduate and become successful, engaged alumni." One of the special interactions Whitaker shares with families and their students is the "Wildcat Exam Snack Pack" and "Surprise Your Student" programs. Surprise treats are purchased through the Alumni and Parents Relations Office to recognize birthdays, special occasions or just to say "I am thinking about you," Whitaker says, "Students arriving to pick up their surprise or exam snack pack is a favorite part of my job. Seeing them receive a reminder from home makes their day and mine." Whitaker sums up her position saying, "I feel lucky every day to be here and feel strongly about the work I do. My commitment and enthusiasm are focused on making Cazenovia College the best it can be." On a personal note, Whitaker has four grown children who are her pride and joy. Outside the office, she is an avid tennis player who has competed on USTA teams for many years. She also acts as an advisor to the College club tennis team and enjoys sharing the game with current students.